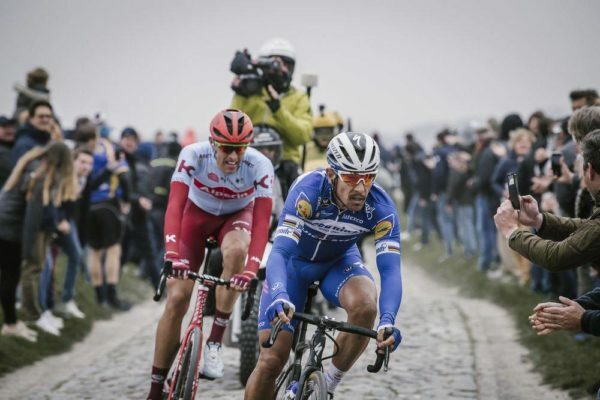 Prize money Paris-Roubaix 2019: Philippe Gilbert gets a decent enough sum, for bike racing. But spare a thought for the guys just outside the top 15 where the spoils are, erm, modest. This year the Paris-Roubaix prize money is €91,000 in total; with cash prizes for those who finished from 1st to 20th today. 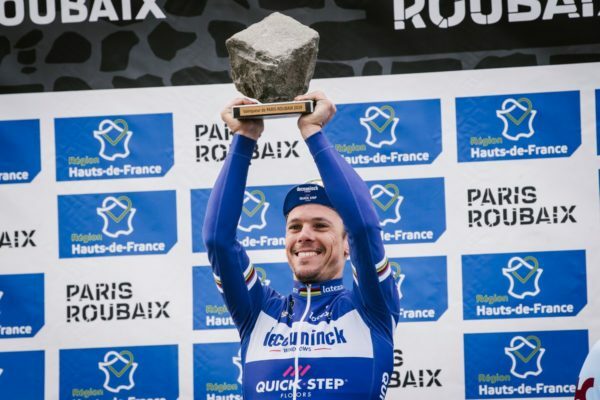 Victory is worth €30,000 to Philippe Gilbert (Deceuninck-QuickStep), though the prestige is also significant, not to mention a likely win bonus. Runner-up Nils Politt (Katusha-Alpecin) will receive €22,000 and the 3rd placed Yves Lampaert (Deceuninck-QuickStep) trousers €15,000. Sep Vanmarcke (EF Education First) was 4th and gets €7,500. Peter Sagan (Bora-Hansgrohe) placed 5th and collects €3,200. Florian Senechal (Deceuninck-QuickStep) and Mike Teunissen (Jumbo-Visma) were 6th and 7th and collect €1,700 and €1,500 respectively. For 8th place Zdenek Stybar (Deceuninck-QuickStep) wins €1,300 and Edvaldas Siskevicius (Delko Marseille Provence) takes €1,200 for 9th on the day. Rounding out the top 10 prize money in Paris Roubaix 2019 was Sebastian Langeveld (EF Education First) who collects €1,100. Prizes for 11th through to 20th range from €1,000 to €500. 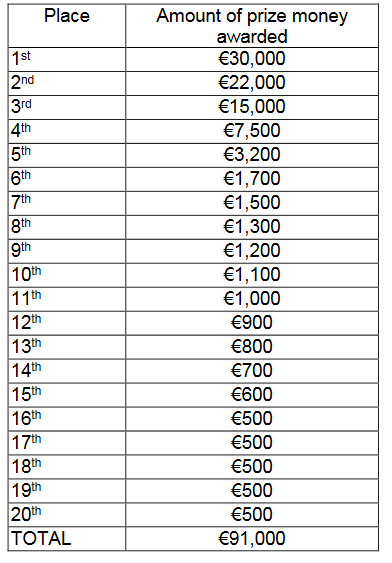 If we consider that the 257km race took six hours, that’s €83.33 per hour for the men in the €500 prizes. In cycling the riders make their money via their salaries from their teams. Prize money, even for a very successful outfit, will be under 10 per cent of total annual revenue. But a successful team that has a good year can still win decent sums during a season. 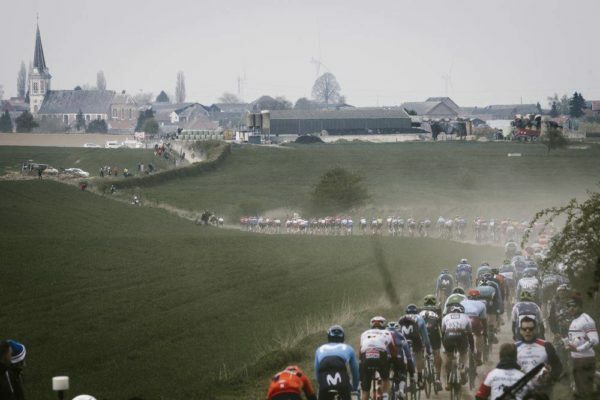 As ever, Paris Roubaix threw up fantastic racing with plenty of drama all the way. When it’s all gathered in and shared out among team mates, it can be a very nice bonus. The extra money is especially important for the young guns or domestiques who don’t get paid a huge amount. And let’s not forget also that many people make lots of money from pro bike racing. And in that context, the prizes in the sport are, quite simply, awful. Top of the pile in profiting from pro cycling is Amaury Sport Organisation (ASO). The French company owns a whole host of races including Paris-Roubaix and the Tour de France. The company’s profits are not readily available right up to the current period. But in 2013, for example, ASO reported revenue of €180 million, of which €36 million was profit. It makes its money by selling TV rights globally. And Paris-Roubaix is definitely one race watched all over the world.